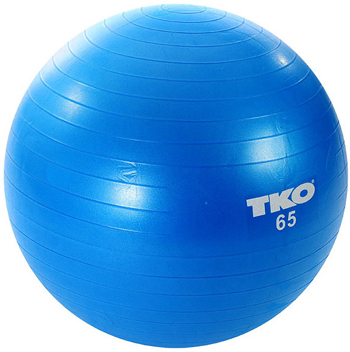 TKO Fitness Balls are made of Anti-Burst material; should the ball be punctured, it will slowly deflate. Perfect for Pilates, yoga and fitness exercises, at home or on the go. Perfect For Heights 5'2" - 5'11"